Dubai . Dubai Tours . burj khalifa . Attractions . It’s hard to believe that the most iconic feature of Dubai’s futuristic skyline has been standing for less than ten years. 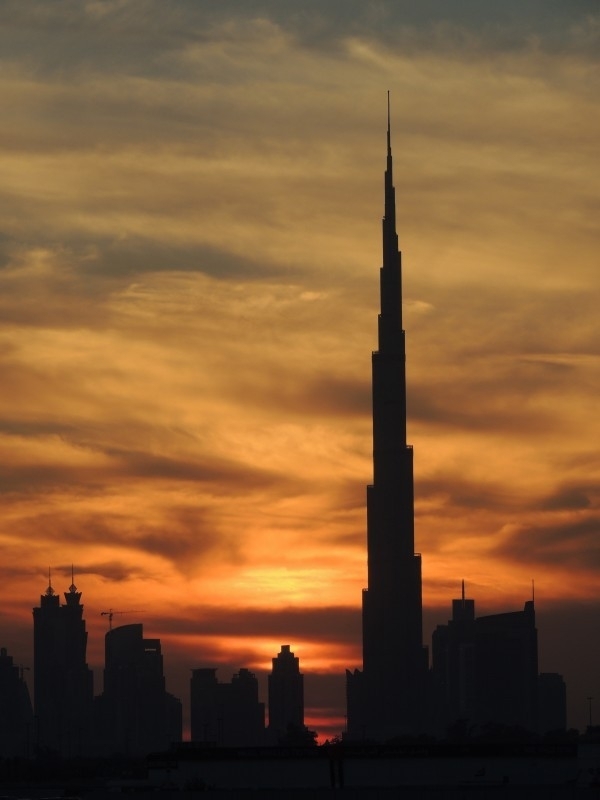 The stunning, needle-like silhouette of the massive Burj Khalifa is the pride and joy of the United Arab Emirates, and famous for being the world’s tallest manmade structure. At 828m (2,716 ft) tall, it’s over five times the height of Egypt’s Great Pyramid of Giza. The tower, Dubai’s crowning achievement, was completed and unveiled in 2010, and since then it has cemented its position as one of the world’s most iconic landmarks. The Burj Khalifa’s neo-futurist design incorporates inspiration from classic Islamic architecture, and the unlikely marriage between the two styles creates a breathtaking display. In just a short time, the massive structure has become one of Dubai’s most hotly desired attractions and has even played a starring role in several Hollywood movies. 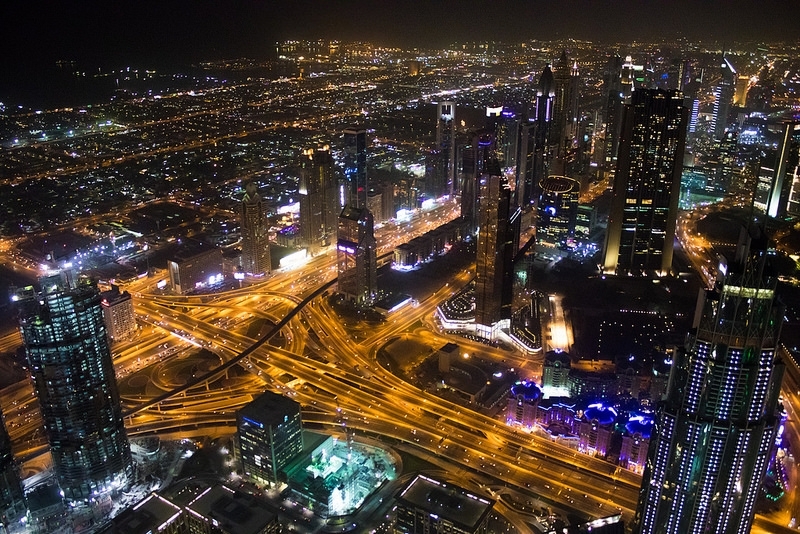 This remarkable feat of engineering perfectly encapsulates the city’s transformation from a regional hub to a global epicenter of technology and commerce – it’s an announcement of Dubai’s status as a city of the future. Visitors to the tower are greeted by a breathtaking light and water display at the Dubai Fountain – one of the world’s largest – composed of 6,600 dazzling lights and capable of shooting jets of water 150m (492 ft) into the sky. The fountain is a fitting welcome to the Burj Khalifa. It’s proof that you are about to enter a place of decadence and elegance. 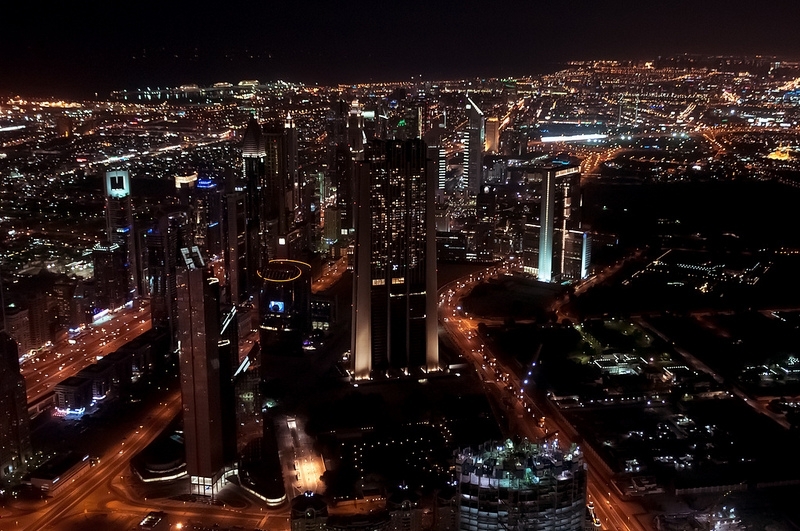 While there is no doubt that the Burj Khalifa is spectacular from the ground level, the views from the tower’s two observation decks are nothing less than otherworldly, and major reasons for its popularity. 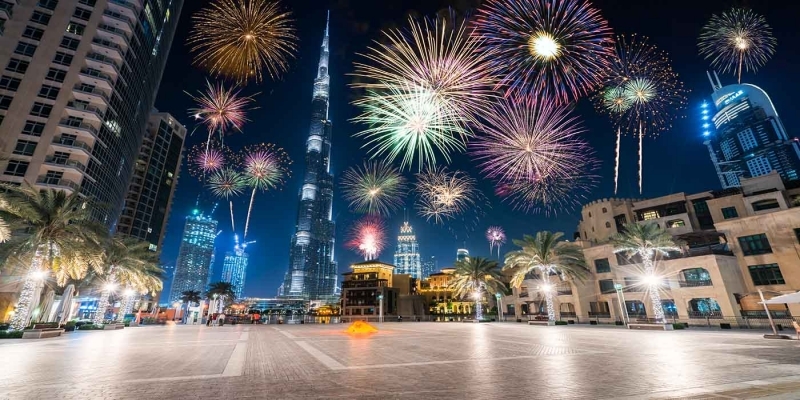 On its top level, Burj Khalifa SKY offers visitors the most iconic view of the city and provides an incredibly intimate and atmospheric setting for couples to absorb the glittering city below, from sky-high palatial surroundings. In addition to its spectacular view from the top, Burj Khalifa SKY presents visitors with an exciting opportunity to discover more about the city of Dubai through informative interactive displays, which provide an insight into the country’s history and how it has transformed into a premier tourist destination in such a short space of time. The Burj Khalifa has twice broken the world record for the highest observation deck on the planet and its two viewing platforms can be found on the 125th and 148th levels, the upper deck being a towering 555m (1,820 ft) above the ground! The views from the summit of the Burj Khalifa are awe-inspiring – this is the perfect spot to be wowed by a majestic Dubai sunset, best accompanied by a refreshing cocktail or glass of champagne. Lovers of fine dining will not want to miss the world-class cuisine created in the tower’s signature At.Mosphere restaurant on the 122nd level, 442m (1,450 ft) above the city. This restaurant has rapidly secured its position as the ultimate gastronomic destination in Dubai. 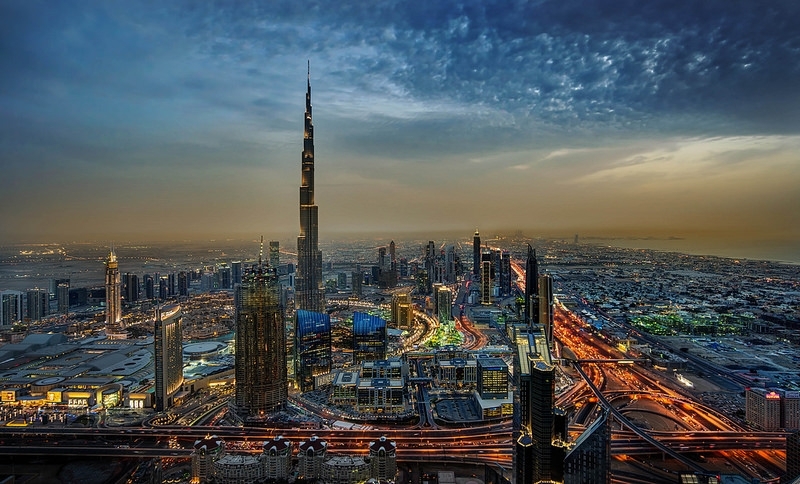 The Burj Khalifa is the perfect setting for a restaurant where sophistication and elegance meet innovative modernity. The restaurant’s memorable menus are handcrafted by Executive Chef Jerome Lagarde, who boasts over 20 years of expertise in kitchens in France, the U.S., Australia, Singapore, Hong Kong and China, where he worked in the country’s first three Michelin Star restaurant. At.Mosphere is wildly popular, so advance reservations are a must if you plan on experiencing its wondrous cuisine accompanied by stunning city vistas from the restaurant and lounge. This skyscraper is more than just a tourist attraction. It’s also one of the most exclusive addresses in the world, with 900 residences perched high above the city, including a selection of suites personally designed by style icon Giorgio Armani. Of course, visitors can also enjoy a taste of this life of luxury by staying in the Armani Hotel Dubai, the innovative designer’s first hotel venture. Armani’s sophisticated style shines throughout the hotel to such an extent that it has even been voted Overall Winner at the World Luxury Hotel Awards! 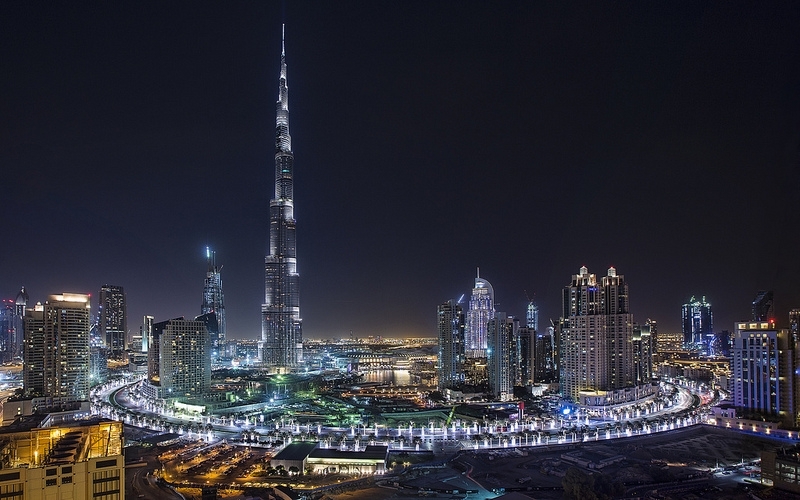 The Burj Khalifa is an integral part of Downtown Dubai with its modern mélange of hotels, restaurants and shopping complexes, including the famous Dubai Mall, which boasts a staggering 1,200 stores, making it the world’s largest shopping center. Encircling the base of the Burj Khalifa is the 3.5km-long Mohammed Bin Rashid Boulevard, one of the city’s best places to explore on foot. From there, you can discover Dubai’s growing café culture, with its tantalizing desserts to give you an energy boost before you continue exploring the sprawling metropolis. One thing is for sure though: wherever you are in Dubai, your eyes are certain to be drawn upwards in awe of the glimmering peak of the Burj Khalifa. Burj Khalifa is Dubai Iconic sight that respresents the strength and greatness of city's today economic and social conditions, you can visit it through Dubai Travel Packages!